From the author of the acclaimed history The Island at the Center of the World, an intimate new epic of the American Revolution that reinforces its meaning for today. With America's founding principles being debated today as never before, Russell Shorto looks back to the era in which those principles were forged. Drawing on new sources, he weaves the lives of six people into a seamless narrative that casts fresh light on the range of experience in colonial America on the cusp of revolution. While some of the protagonists-a Native American warrior, a British aristocrat, George Washington-play major roles on the field of battle, others-a woman, a slave, and a laborer-struggle no less valiantly to realize freedom for themselves. Through these lives we understand that the Revolution was, indeed, fought over the meaning of individual freedom, a philosophical idea that became a force for violent change. 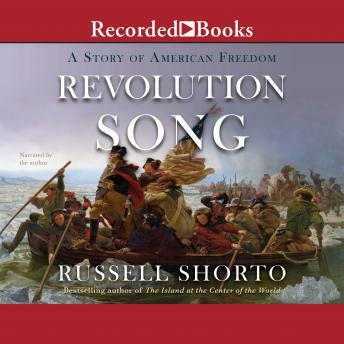 A powerful narrative and a brilliant defense of American values, Revolution Song makes the compelling case that the American Revolution is still being fought today and that its ideals are worth defending.